When Michael DiCarlo was first considering a future in medicine, he chose dentistry over pediatrics as his true profession. Now, at DHC, he gets to bring the warmth and caring heart of the pediatrician he might have become to his dental patients in the field that he loves. After completing the rigorous course requirements for his degree from New York University College of Dentistry, Dr. DiCarlo was recognized, during his residency at Staten Island University Hospital, for his exceptional clinical skills. He was selected as Chief Resident, while training in the treatment planning, placement, and restoration of advanced esthetic and implant cases. Dr. DiCarlo is a faculty member at Spear Education, the institute for advanced learning in dental medicine. He shares the commitment to continued mastery-level education and exceptional service that distinguishes our practice and has made it the first choice for generations of patients who know they can count on receiving the benefits of the latest developments in dental medicine from our doctors for the health and well-being of themselves and their families. 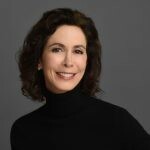 Rosanna Santini graduated with honors from the New York University College of Dentistry in 1991 at a time in dentistry when new technologies and inventions were expanding horizons for dentists and their patients. The ascent of cosmetic dentistry with the introduction of porcelain veneers and new procedures would bring in a whole new era of the dentist being an artist. At the same time, diagnostic and treatment options were advancing that would allow dentists to be more analytical, objective, educated, thorough, and competent in their care of patients. Dr. Santini joined Dr. Bridges at DHC in 1992 after completing a General Practice residency at Monmouth Medical Center, bringing an expertise, education, and experience that continues to expand the practice today. 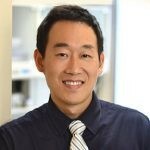 Dr. Cho is a Board Certified Periodontist and a Clinical Assistant Professor of Periodontolgy at Rutgers University School of Dental Medicine. 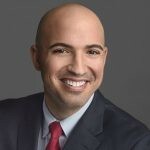 He received both his DDS degree and Certificate for Graduate Training in Periodontology at the Columbia University College of Dental Medicine. His practice and research continue to expand from the field of conventional periodontics to full mouth reconstructions with dental implants and CT Scan guided surgeries. Dr. Cho also provides full array of minimally invasive root coverage procedures, which do not involve palatal tissue harvest. In free time, he enjoys swimming and playing tennis. Patients respect Dr. Cho’s knowledge and surgical expertise, and especially appreciate his special kindness in the care they receive.